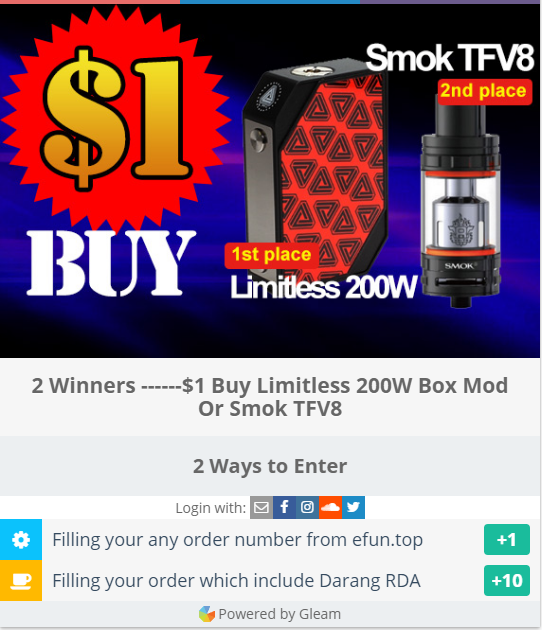 Do you want to use only $1 to buy a Limitless 200W or $1 to buy SMOK TFV8 ? Now there is a chance to you. Write down your any order number from efun.top !